Leading virologist Professor John Oxford tells the dramatic story of how Scotland was affected by the 1918 flu pandemic which killed more people than the First World War. More than 30,000 people died in Scotland during the flu pandemic of 1918/19 - devastating in a population of just 4.8 million. It killed many more people than the First World War and it's estimated more than 50 million people may have died worldwide. The virus entered through ports like Scapa Flow, Rosyth and Glasgow as young men returning from the trenches passed on the lethal strain to people on the home front. Scotland's railway infrastructure helped to spread it to every corner of the country with nowhere left unaffected by the flu. The first area to be hit was Glasgow in April 1918 and by mid-October that year more than 300 people were dying every week from flu in the city, most of them young adults. Undertakers struggled to cope and in some cases children were left to bury their parents. 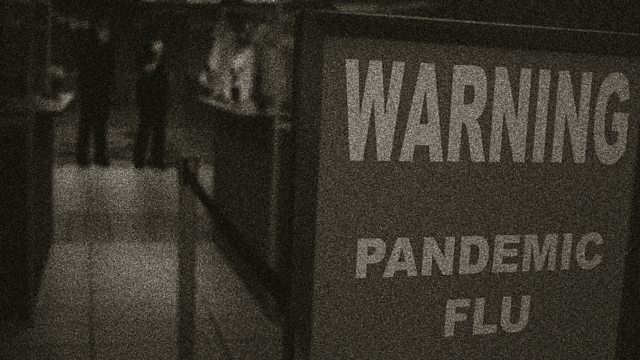 In this programme, leading virologist Professor John Oxford tells the dramatic story of how Scotland coped with the flu pandemic which swept the country 100 years ago. John hears testimony from the people who experienced it at first hand - from soldiers on the front line and from those who remember whole families being wiped out within days of loved ones returning from the fighting. People delve into their own history to try and understand what their ancestors went through - among them Newsnight presenter Kirsty Wark. Her great uncle died from the flu just days after the Armistice was declared in November 1918. John looks at how the Scottish authorities tried desperately to stem the spread of the flu and he also hears how a shortage of doctors due to the First World War meant inadequate nursing support limited the care that was available. At one point in parts of Fife, there were 5,700 people to one doctor while in one area of Glasgow where 17 doctors usually practiced there were just 4 of them for 55,000 people. Finally, John wonders why this devastating pandemic is largely forgotten and asks the question, could this strain of flu ever return? An MIM Production for BBC Radio Scotland.